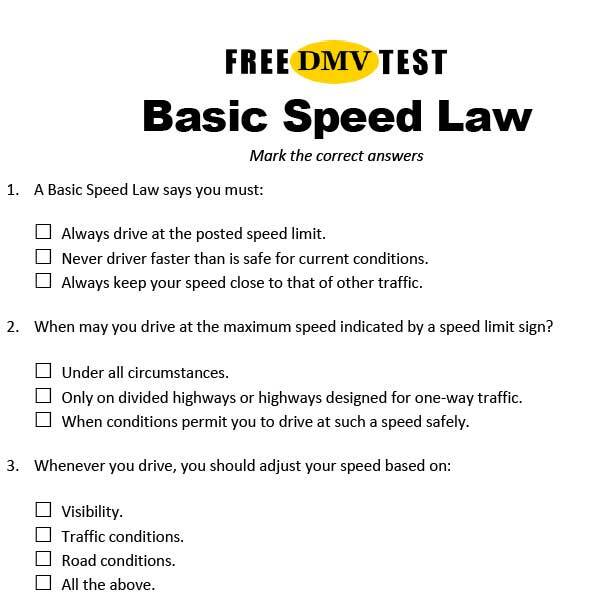 Can you learn how to pass the DMV permit test, even though you perform poorly on tests in general? The answer is yes! In fact, it is not as hard as you might think. Most students who perform poorly on tests have a slow processing speed. With a slow processing speed, a test situation creates anxiety and it is easy to just give up. You feel that you are not going to make it anyway. If you need more time than other students to take in, make sense of and respond to information, you should accept the fact. Don’t compare yourself with others. Try not to feel stressed when others finish and you are just half-way through a test. On any tests, you should focus on the task at hand and use the allotted time. Everything else can wait. Think of your brain as a private internet – where everything is connected through links. You access knowledge stored in your brain by following these links. In general, you gain knowledge by reflecting on new things you come across and linking them to things you already know. The more links one fact has – the more likely you are to retain it. It is like popular websites in a Google search result. Work actively with new facts and relate them to facts you are already familiar with. This way your brain will quickly build up a private web of facts. The broader your general knowledge base is, the easier it is to digest new pieces of information and to retain it. The key is to be actively involved when your read, see or hear things. Stop and think for a second or two. Is this familiar? Does it remind you of something? Would it share a hashtag with something else? Researchers say that you should relate new information to people, places, music, or feelings. And it is actually a good idea. The more personal a piece of fact is to you, the more likely you are to remember it. If you have a slow processing speed, you don’t like to read a handbook. It just takes too long and you will give up on it more than once. That is probably why you searched for website like this. You want the fast answers without putting too much effort into it. Right? 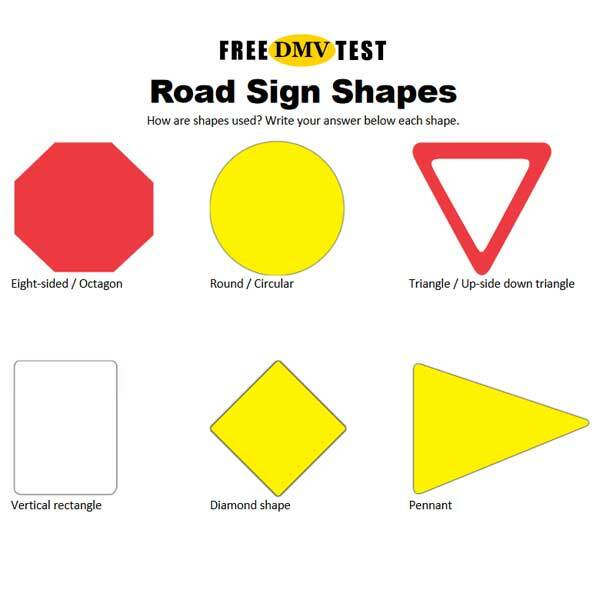 While these tests give you all the answers you need, memorizing them is no guarantee of success on the DMV permit test. Isolated phrases or pieces of information are hard to retain for most of us. In addition, if you put them in the wrong context you are very likely to get facts mixed up or even wrong. This is also why cheat sheets don’t do the trick. You assume that knowing the answers is enough and you don’t use the information to challenge your brain. As a slow “processor”, take your time. Don’t rush through the practice test. One question at a time. Try to be active. Can you find the question and the answer in the DMV driver handbook or driver’s manual? Keep the handbook handy and use it to look up questions and answers. Ask yourself questions. Where are you likely to see certain road signs and why? Why are specific laws and rules in place? What would happen if we didn’t have them? Picture yourself in driving situations. How should you react and why? Create inner images. Relate facts to something you experienced – but be careful not to add information to questions that isn’t there. You should also make sure you distinguish between facts and your own preconceived opinions. It is always unsafe to use a cell phone while driving. You probably think that it is prohibited under all circumstances. But it isn’t. The use is restricted in many ways, but not prohibited in any state. Look up the rules in your state! A driver and all passengers in a car must always be buckled up. The truth in many states is that they should, but it may not be required by law. In many states, only front seat passengers are required to use a seat belt. Reflecting on things like this will help you to remember safe driving practices much easier. When you prepare for the DMV permit test, you should use plenty of time on each practice test. It forms a habit that you should keep on the real test. Read everything twice. Don’t jump to conclusion based on memorized answers. Analyze question and all choices very carefully. Again, focus on the task at hand and use the allotted time. Everything else can wait. If your mind is set on passing, you will pass.